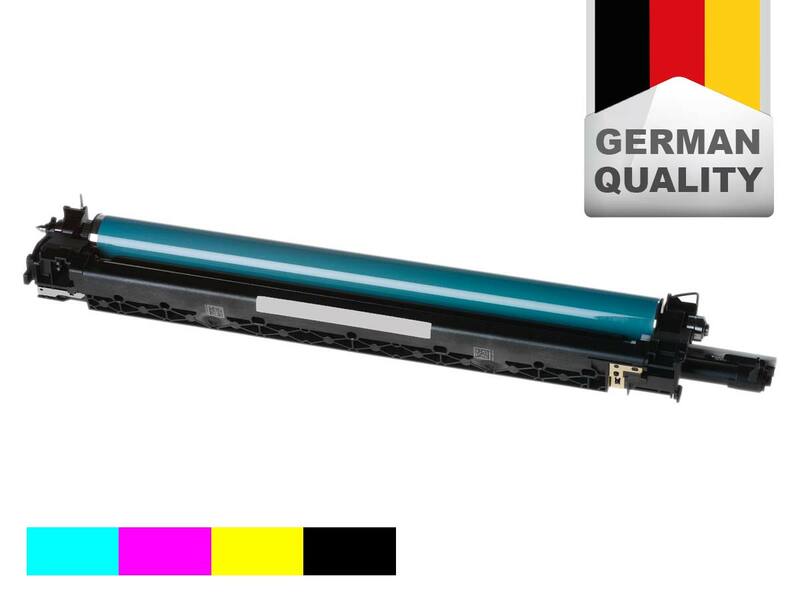 We offer you one of our refurbished drum-units here which is compatible with the Canon™ Imagerunner™ Advance C5030/i/5035/i/5235/A/i/5240/A//i (replaces Canon 2778B003 / 2779B003 /C-EXV29). Our refurbished alternative drum-units are manufactured to the highest performance and quality standards and will deliver optimal prints. The TONERFABRIK do more than just clean up the drum. We also replace or refurbish the other components in the drum-unit (if available and required). So when you put it in your printer you're going to get the same quality and reliability as you got from the original drum-unit. Our compatible drum-units are an economical alternative to expensive original drum-units. 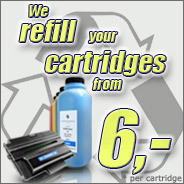 Toner cartridges and drum-units from Canon, including the Canon IR Advan. C5030/5035, are complex technical devices. The basis of all compatible remanufactured drum-units is a drum-unit used at least once already. Some parts needed to produce a good print will wear out over time. All serious makers of remanufactured drum-units, like Tonerfabrik Berlin, exchange all important parts subject to wear as part of the reconditioning process. All remanufactured drum-units for the Canon IR Advan. C5030/5035 are subjected to a thorough check. Only if the test is successful is the remanufactured drum-unit packed for transport and released for sale. Buying a remanufactured drum-unit is to a large extent a matter of trust. One could say, “cheap is good, but too cheap has its risks”. After all, producing a truly top-value and compatible drum-unit for the Canon IR Advan. C5030/5035 that works just as well as the original drum-unit is highly time- and cost-intensive. That said, you enter into no risks in terms of high quality standards and production in Germany when buying such a drum-unit from a brand name like Tonerfabrik Berlin. * The specified range is based on a printed A4 page with 5% coverage. This is the same specification as for an original drum-unit for the Canon IR Advan. C5030/5035.